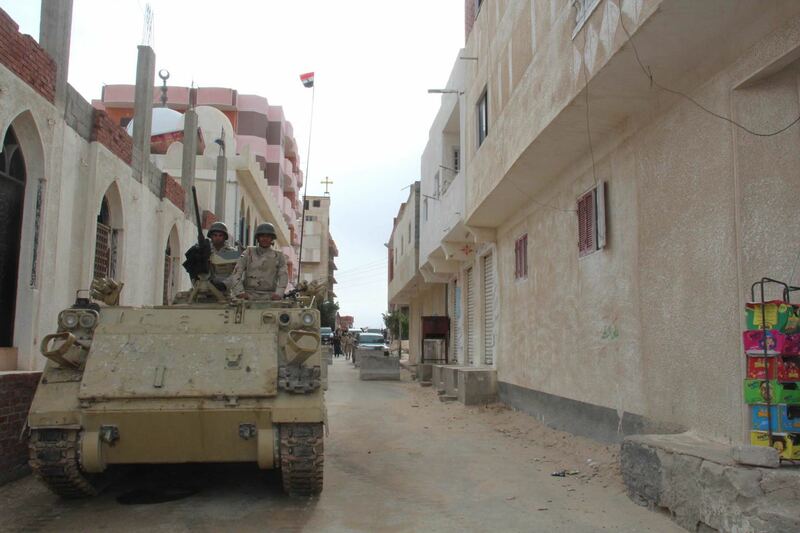 The Egyptian Army guards a street near a church in Arish in 2015. After the removal of the Muslim Brotherhood from power in July 2013, armed individuals burned one of Arish’s three churches, and violence against Christians in North Sinai spiked. That summer, Coptic priest Mina Aboud was killed near his church. Attacks against Christians have been sporadic from then until this month, but the overall rate and severity of attacks in North Sinai has increased, leading Christians to first leave Sheikh Zuweid and Rafah completely to live in Arish, and to now leave Arish and the whole Sinai Peninsula altogether.